Research has found that a seasonal downpour is the best indication of whether the Ross River infection will break out in communities in Darwin, Australia. Susan Jacups, who is due to be awarded a PhD at Charles Darwin University, conducted a 15-year study designed to provide information for mosquito control programmes in the city. 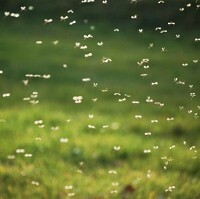 The study was carried out at a time when new homes were being built near to mosquito breeding grounds in Darwin. Dr Jacups said: "With about 4,800 cases reported in Australia each year, Ross River virus disease is our most common and widespread mosquito-borne disease and arguably the most important public health arbovirus. "The data shows that accumulated rainfall of 279 mm or more in December or January was the best predictor of an outbreak of the disease." Figures showed the city reported 113 cases of the virus on average each year for every 100,000 people. The results were collated from 1990 to 2005, and raise awareness to the kind of unforeseen circumstances we can encounter on holiday. To this end, travellers with existing health problems are advised to invest in pre-existing medical travel insurance if they plan to fly to places known for certain types of diseases. Dr Jacups added: "While more cases are reported during the wet season when mosquito numbers are higher, there are other important factors. "The virus has a natural vertebrate host in which it completes its life-cycle, usually a marsupial. These marsupials were more abundant when food was plentiful after heavy rains at the beginning of the wet."